D.C. Mayor Adrian Fenty’s transportation director is trying to rejuvenate plans to return streetcars to the District by preparing to search for federal funding, seeking support among elected officials and forming a dedicated management team. Streetcar tracks are being laid along South Capitol Street in Anacostia and H Street NE near Capitol Hill, for two pilot lines first planned under former Mayor Anthony Williams but long since delayed. Two years ago, Fenty’s former director of transportation planned for the Anacostia line to be up and running by 2009 with three cars the city had already purchased. Now officials are shooting for 2012. And D.C. still has not determined how to accommodate the ban on overhead wires in the areas governed by the L’Enfant Plan, including downtown and inner neighborhoods such as the H Street corridor. Simultaneously Klein, the founder and former CEO of the On the Fly food service, is trying to bolster support for a much larger network of lines along some of the city’s heavily trafficked corridors, such as K Street and Georgia Avenue NW and 8th and M streets SE. It will be interesting to watch how this issue develops. July 7, 1924: It became public that the Washington Railway and Electric Company had filed a petition with the public utilities commission of Maryland for the abandonment of the 1 1/2 miles of trolley line between Bladensburg and East Riverdale. This is the second part of a three part series documenting the importance of the Washington street cars in the battle of desegregation. If you missed part I, you can see it here. I was created by the Amalgamated Transit Union (ATU) Local 689. Description: The 15 year battle to integrate the Capital Transit Company (predecessor of the Washington Metro system) succeeds in 1955. Contains photos of the first African American streetcar and bus operators. June 25, 1937: Testimony at the hearing on request of Capital Transit Co. for an increase in District token fares dealt more with what numerous individuals and organizations think about the bus and street car service they get than about what they are willing to pay for it. This is the first part of a three part series documenting the importance of the Washington street cars in the battle of desegregation. I found it interesting and important story worth sharing. I think its great that the Amalgamated Transit Union (ATU) Local 689 has chosen to share these. Description: Washington, DC African Americans fight discrimination on streetcars. 1st part ends with “Streetcar War” of 1919. 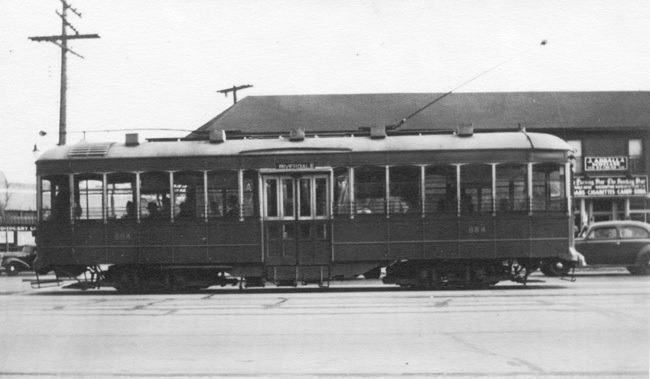 The companies that ran these streetcars were the predecessor companies of the Washington, DC Metro rail and bus system. I stumbled upon this great snippet of historical footage that someone from the Amalagamated Transit Union (ATU) Local 689 thankfully shared. The film and description below are from YouTube. The car barn in the opening sequences is the Northern Carhouse located at 4615 14th Street NW. This short 16 mm film was discovered by Amalgamated Transit Union (ATU) Local 689 recently and converted. It appears to be shot in the early to mid 1950s. Note African Americans working on track maintenance. Company segregation prohibiting African American bus and streetcar operators did not end until 1955. Some skilled maintenance departments were not desegregated until much later. The Amalagamated Transit Union (ATU) Local 689 African American maintenance members were full members of the union with all rights and benefits at that time.